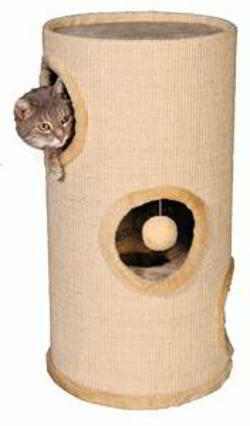 Cat Tower is a space saving playground for your cat and can be used by cats at each age. Inside the tower the cat will find a little toy fixed on an elastic. Cat Tower has a height of 70 cm and is 37 cm in diametre.